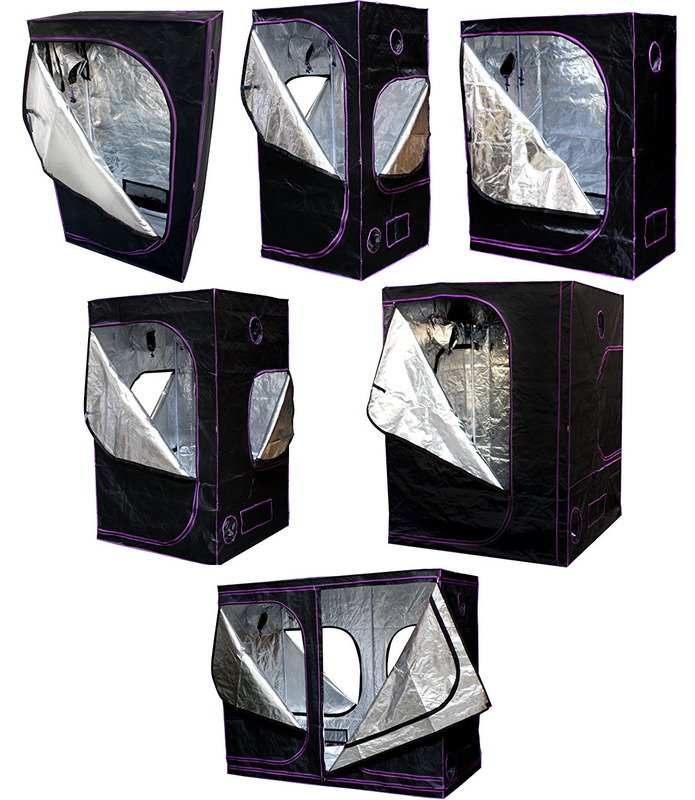 Home Grow Tents SuperTrinity LED grow cabinet review! 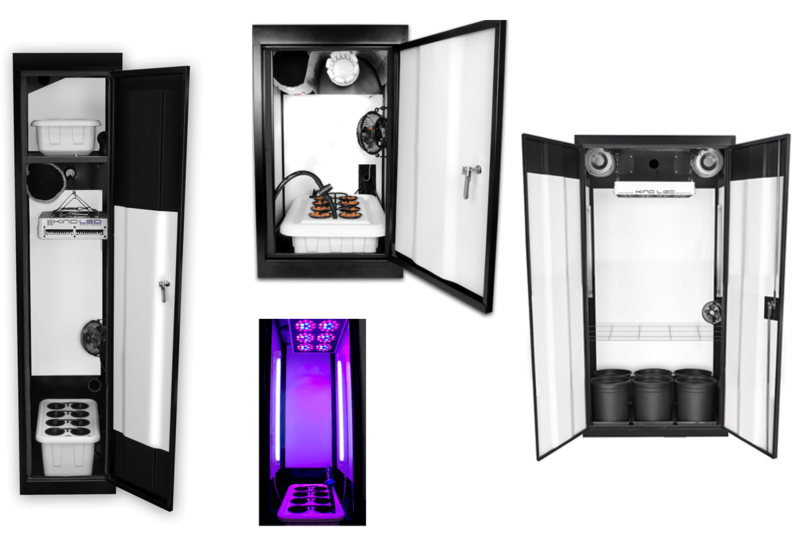 The SuperTrinity LED grow cabinet is the deluxe model of grow cabinets! 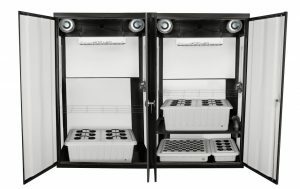 This is the grow cabinet that indoor marijuana growers dream about. 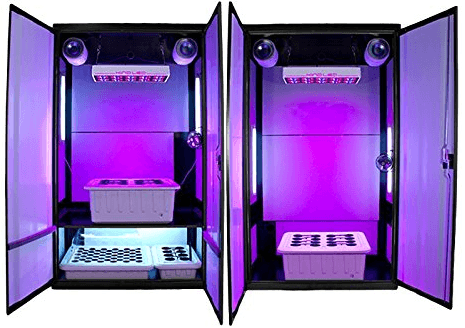 The SuperTrinity LED grow cabinet is a dual cabinet system with three chambers. It is designed for perpetual growing with maximum output. Cloning and germination happens in the dedicated cloning chamber. The plants continue to grow in the dedicated vegetation chamber. The plants are transferred to the flowering cabinet for the flowering and harvest stages. This is the top of the SuperCloset grow cabinet range. 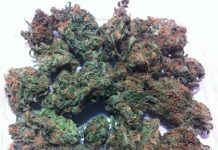 It is suitable for personal use, the small commercial grower, or any marijuana grower looking to achieve large yields. The SuperTrinity LED grow cabinet comprises two separate cabinets: the SuperNova and SuperNova Flower Edition cabinets. Together, the cabinets measure 92″ (width) x 24″ (depth) x 78″ (height). With the SuperTrinity system you can harvest every month or double your yields in standard harvest time! 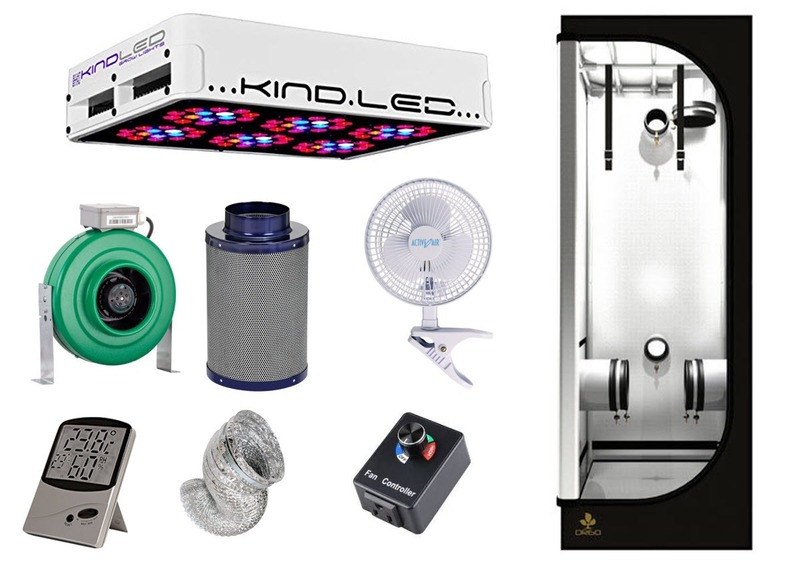 The SuperTrinity LED grow cabinet comes with KIND LED grow lights in each cabinet. 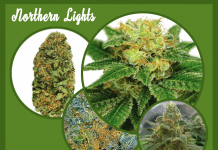 These are top quality LED grow lights designed to produce increased, healthy yields. 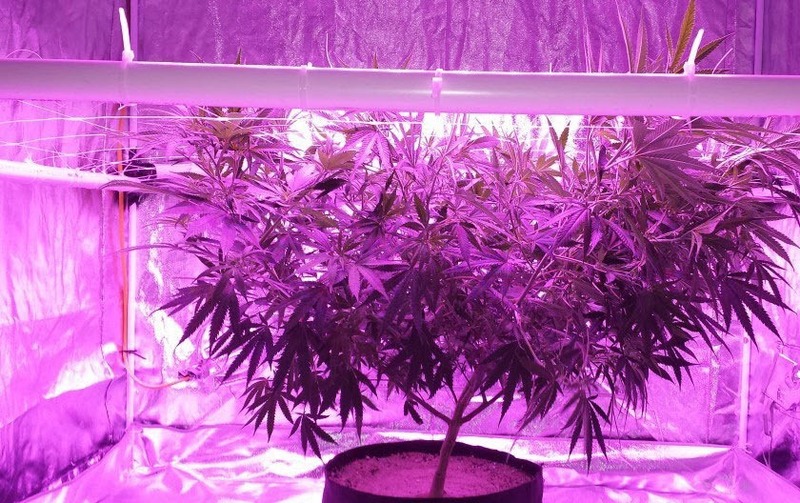 They run quieter, cooler, and more efficiently than many other grow light on the market. The SuperTrinity LED grow cabinet is priced at $6 295. 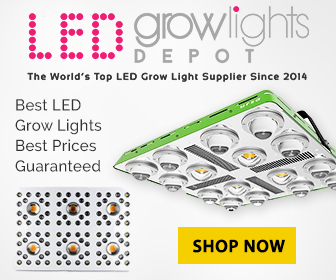 It is currently available on the LED Growth Lights Depot website at a discounted price of $5 595. While the price tag is high, when you consider what is included in the deal, it is worth every cent. A completely automated hydroponic system is included in the SuperTrinity LED grow cabinet system. In fact, every component you need to start growing is included in the deal. 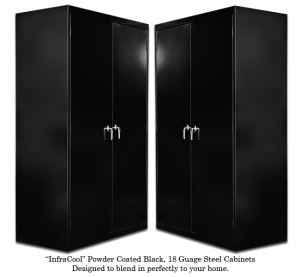 SuperCloset backs their products with a 3 year warranty and 7 days a week lifetime support. The SuperTrinity LED grow cabinet looks like any other cabinet on the outside: it is on the inside that the magic happens. The SuperTrinity LED grow cabinet has two extra large stealth LED grow cabinets, and a total of 3 growing chambers. This system allows you to germinate, clone, vegetate and flower simultaneously. The second free-standing cabinet maximizes growing flexibility. You can choose to reduce your harvest time or double your yields within the standard cycle time. 50-Site SuperCloner, for germination, cloning and early vegetative growth. Mamaponics system which is great for growing stocky, clone bearing mothers. 2 24w T-5 fluorescent bulbs which emit 6500k and are perfect for new plants. Adjustable shelf for easy height manipulation to suit your needs. 12 plants: Each chamber holds up to 12 plants. SuperPonics: Each chamber includes a fully-automated SuperPonics system that combines top feed watering with bottom feed oxygenation. The system is said to grow plants up to five times faster than soil growing, and twice as fast as other hydroponics methods. The reservoir holds up to 15 gallons of nutrient rich water. T-5 lighting: The chambers contain supplemental T5 fluorescent side lighting. This is the perfect cool spectrum to supplement the overhead LED light and increase production. Carbon filter: Built in carbon filter eliminates all odors emanating from inside. This is an industrial grade filter that should last up to 2 years. Circulation fan: Adjustable internal circulation fans for maximimum airflow. Adjustable panels: The anti-mold reflective, removable and adjustable panels in the chambers can be moved to provide optimal light distribution and are easy to clean. Automated controls: Each chamber has fully automated controls. The hygrometer is on the back of unit, rather than the front, for stealth purposes. Watering system: The cutting edge watering system ensures there are no clogged drippers, or random dead plants. Soil: Dual cabinet system also accomodates soil growing. You simply plug the SuperTrinity LED grow cabinets into a wall plug and you are good to go. It is configured for standard 110v grids. 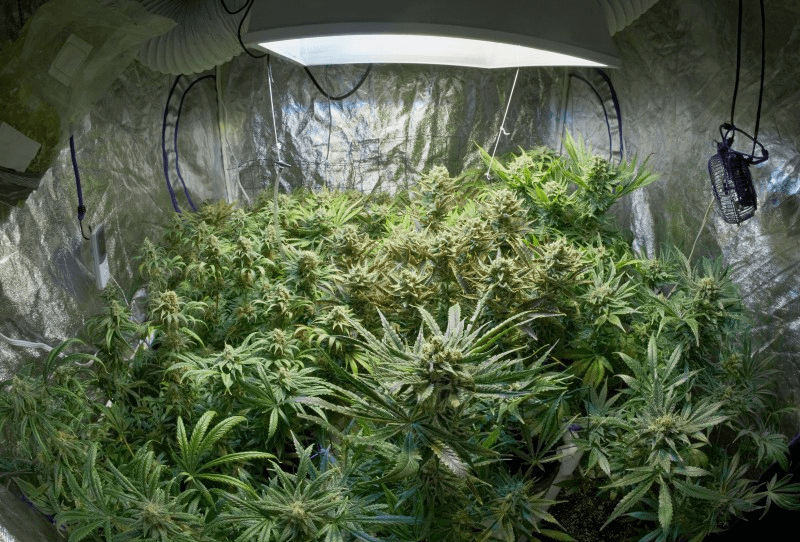 The cabinet door includes a lock and key for complete discretion.The SuperTrinity LED grow cabinet is energy-efficient, using up to 20% less energy than other systems. 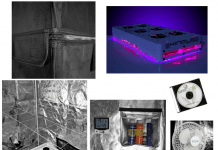 The SuperTrinity grow cabinet includes everything you need to grow indoors. 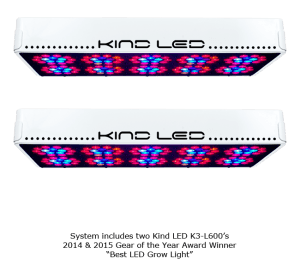 12 bandwidth full spectrum 3 Watt Kind LED K3 – L600 grow lights: This compact LED grow light system is complete and ready to hang in each chamber. It is ideal for the Super Nova Trinity growing spaces. The color spectrum of the Kind LED grow light is ideal for indoor growing: it does not produce excessive heat and is energy efficient. The adjustable yo-yo makes it simple to adjust the height of the light to ensure no plant stretch and maximum light penetration. T-5 supplemental side lighting: The perfect cool spectrum compliment to your overhead LED lighting. 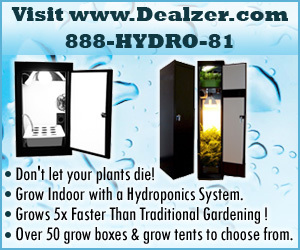 This increases your under-canopy production, and fill out your fruits and flowers. 12 Plant SuperPonics Systems: The SuperPonics XL 12 included in each chamber combines automated top feeding and deep water culture. SuperPonics was developed by fusing multiple proven hydroponic methods into a single system. These system is easy to use and are fully automated. SuperPonic systems are said to grow plants up to 5 times faster than growing in soil and twice as fast as other hydroponic methods. High output fluorescent lighting: The 2″ 24W T5 fluorescent lights provide 6500K of light. 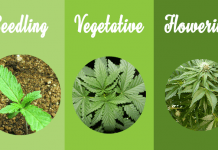 They produce a spectrum that is perfect for the early stages of growth and ideal for seeds, clones, and mothers! 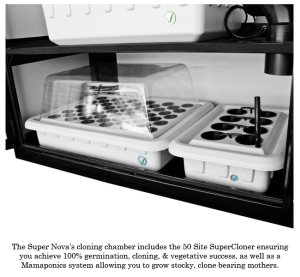 SuperCloner 50 Site systems: This SuperCloner gives your new plants just what they are looking for in their early stages. It is a deep water culture hydroponic system that promotes rapid, luscious white root development! You can germinate, clone and vegetate up to 50 plants. 8 Plant SuperPonics systems: An additional 8 Plant SuperPonics System is included in the spare lateral space of the SuperTrinity provides cabinet. It can be used in conjunction with the SuperCloner 50. This allows you to keep up to 8 bushy mothers from which to clip bouncing baby clones. 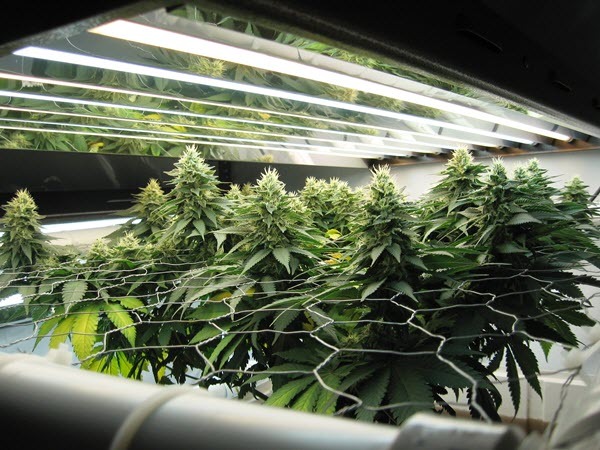 Trellis systems: Each cabinet has a A trellis system to increase yields and maximize quality. A Trellis supports, partitions, and train your plants. 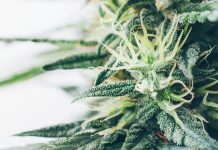 It also ensures they are equally spaced and helps to form a nice, even canopy, to ensure even light distribution and maximum absorption for each plant. Eco Air 4-Port Air Pumps: Each chamber has a quiet, yet powerful air pump. This is the recommended pump to provide oxygen in hydroponic systems. It is convenient to operate and runs without oil or noise. 185 gallon per hour water pumps: The water pump in each chamber is powerful.It is oil free and has a high magnetic rotor, ceramic shaft, and bearing to ensure reliability and quiet operation. You can plug it into its designated timer for watering automation. Adjustable internal circulation fans: The fan in each chamber can be adjusted to ensure maximum airflow. They are easy to adjust in height and tilt angle to provide a gentle breeze blowing above your plants canopy at the ideal height. Industrial-grade carbon filters: Carbon filters in each chamber eliminate all odors. They are durable and should last up to two years before needing replacement. Digital thermometer/ hygrometer: Gives you the ability to make sure you are providing your plants with their ideal environment. Includes a waterproof temperature probe. The device measures indoor/outdoor temperature and indoor humidity, and stores the min/max values. You can switch between °C and °F, and 12/24 mode clock. TDS Meter: Total dissolved solids meter to monitor the suitability of your water source for hydroponics. Determines if water contains appropriate amount of nutrients. Has large, easy-to-read LCD screen in translucent blue housing and includes a convenient color chart explaining TDS values. pH Control Kit: pH control kit by General Hydroponics that The kit contains 8 ounces of pH Up, 8 ounces of pH Down, 1 ounce indicator and a vial. Analog Single Timer: Light timer switches grow lights on and off automatically. The feeding timer allow you to water your plants evenly and regularly without lifting a finger. 10 socket industrial power strip: Belkin industrial power strip provides clean, safe, and balanced power from 10 grounded outlets. Shock buster: The included GFCI plug adapter ensures your safety. The adapter is easy to operate and eliminates electronic malfunctions that could occur when water is in the vicinity of electrical components. Rockwool cubes: Rockwool is a hydroponic medium made from spun granite. It is great for wicking. Clay grow rocks: This is a reusable secondary medium that encourages robust plants and greater yields. Nutrient starter kit: The Technaflora Recipe for Success Nutrient Bundle Starter Kit is a great kit for both the new and experienced growers. Includes everything required to start. Consists of B.C. Bloom, B.C. Boost, B.C. Grow, Thrive Alive B-1 Red, Thrive Alive B-1 Green, Awesome Blossoms, Rootech Cloning Gel, MagiCal, SugarDaddy, ROOT 66, and a mixing chart. 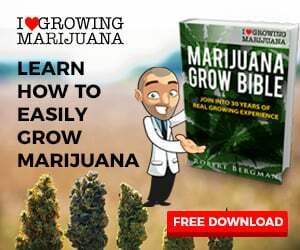 Instructional DVD: This DVD by SuperCloset provides a step-by-step guide on how to correctly set up your cabinet and prepares you to get growing the day that it arrives! Related: Best marijuana grow box on the market.